Sooner or later, it was bound to happen. You can only put out feelers for so long without…well, without getting felt. Yesterday dawned like any other, as routine as I’ve become accustomed to these past six weeks. I got up around 8:00 – my body’s internal alarm clock usually goes off around this time, give or take twenty minutes, regardless of whether it’s a weekday or weekend. Sometimes I lounge beneath the down comforter for a little while; after all, I don’t need to go anywhere, and these cold December mornings practically cry out for an extra few minutes in bed. But I’m pretty disciplined, and usually force myself out of bed at a decent time; anything past 8:30 feels decadent, and considering that it starts to get dark around 3:30 in the afternoon this time of year, if I slept in any later I’d feel like I wasted the day. So it’s up and at ’em, teeth brushed, downstairs to brew a pot of coffee and feed the cat. I log on to check e-mail, and then begin my job search. I’ll take time out for a bowl of cereal and a phone call to my girlfriend, and then, it’s back to business. All these things took place right on cue yesterday. I found a job to apply for on indeed.com, and went through the process of filling out an online application and recording it in my Job Search Log. The state of Washington requires you to apply for at least three jobs every week in order to keep the unemployment checks rolling in, and this was # 3, so I breathed a sigh of relief once that was finished. I’m always afraid I won’t be able to find three jobs that I’m interested in, and will be forced to apply for something menial (like a chicken plucker) but so far – knock on wood – I haven’t had any problems. Then, I found a posting on Craigslist for a freelance “Web Content Writer.” Back when I was still employed but my final days were ticking away, a coworker sat down with me and we had a long talk about job search strategies. He’d been unemployed for a year before landing a job at KNA, and he had lots of good advice for me. My biggest takeaway? He praised Craigslist for their job postings, and told me to check there every day. Now, I have more than a passing familiarity with Craigslist. I’ve bought items there (lava lamps, record albums), sold things there (concert tickets I couldn’t use), and even met people to date there. Over the years, it’s gained a bit of an unsavory reputation, so I was surprised that there would be legitimate job postings, but my coworker was right. Indeed.com is my usual source for finding listings, but Craigslist is a close second. Anyway. The Craigslist ad looked like it was right up my alley. They were looking for a freelance contract content writer for their company, one who was experienced in and knowledgeable with SEO-production style writing. 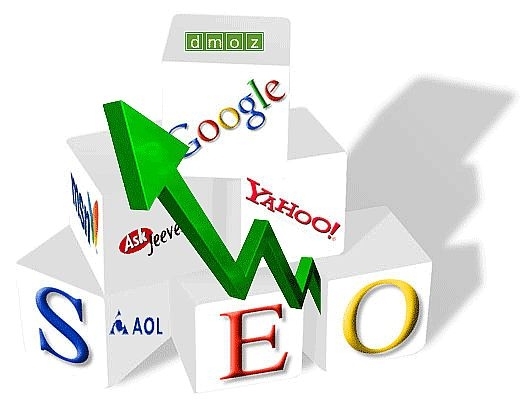 Fortunately, through my marketing position, I learned quite a bit about Search Engine Optimization strategies, and produced some content for a couple of our corporate websites utilizing this skill. I’m lucky; knowing what SEO is and how to use it is one of those in-demand skills nowadays that can take you far. It’s all about using keywords to achieve top rankings on search engines. The key is using them, not overusing them. It’s an art form, really. If you go overboard, you’re liable to spam your own site. It’s actually a fun thing to play around with, even if you’re blogging. I’ll admit, I’ve done it a time or two here on Word Press. The trick is to do it without people realizing you’re doing it. In other words, let it all flow naturally. The trick is to get that arrow to point UP! (Image courtesy of ehow.com). There were a list of ten questions to answer in response to the ad, and they wanted links to three of your published works that have utilized SEO writing strategies. This is where my online portfolio I just mentioned came in handy. Question # 4 was the most interesting; it asked, “What is the optimal keyword density for web content?” Hmm. Tricky question, because that depends on who you talk to. I responded that the answer was subjective and likely to vary, but “I feel, ideally, it should average around 3%; anything more and you are at risk for spamming your own article.” I was pleased with my answers, confident that my links would showcase my talents, and sent the e-mail off. A short while later, I got a response. The moment I read the opening paragraph, I practically started doing backflips in the living room. We would like to move forward to the next step in the contracting process. Yes! Yesyesyesyesyes!!! So, here’s the deal. They’ve got long-term assignments with a small group of writers – about a dozen – who get articles to write every week. They manage a network of websites in the finance/insurance/home improvement sectors that they are constantly adding content to, and this is where the writers come in. If you’re under contract, it’s up to you how many articles you choose to write every week. They pay based on word count, and while they admit that “this isn’t the highest payout in the industry,” they assign the same sites each week, so after a few weeks research should be minimal. And, they gave me an official assignment. They want an 800-word sample article on assisted living facilities, with an exact number of specified keywords, by 12:00 PM on Monday. They will pay me for the article, regardless of whether or not I get a contract. This is huge. It’s the breakthrough I’ve been looking for, and my chance to shine. If I can pull it off to their satisfaction, I could end up with a steady freelance gig, my very first (minus the book reviews, which are usually non-paid, though I do get to keep the books; this was a calculated move on my part two years ago to gain some publishing experience). This company says their few contracted writers earn between $400 and $4500 a month. I did the math, and to earn the minimum amount, I’d have to churn out about eight articles a week. That is certainly do-able. $4500 a month is a huge stretch, however; you’d need to write nonstop every minute of every day to make that much money, so I’m under no delusions that I’d become rich off this gig. BUT…the books I have read on making a career out of freelance writing all say that the key is to land at least one client who will provide you with a steady stream of work. Suddenly, I have a golden opportunity to land that client. And I’m excited as hell. I’ve talked about making a living as a freelance writer ever since I lost my job (and dreamed about it for much longer). Everything I’ve done – the online portfolio, the custom business cards I had printed, the book reviews I’ve written – has been to further my chances at success as a freelancer. But, I’m a realist, and tend to keep my feet planted firmly on the ground. I’m the most optimistic person in the world, and that is great, but I didn’t really think I had much of a shot at making this dream come true. Suddenly, I can envision the life of a freelance writer. Never having to work for a corporation again. Setting my own hours, working from the comfort of my home. Yes, there are deadlines, and they are often tight; I can foresee late nights and weekends. The cash flow isn’t always steady. Projects ebb and flow, clients come and go. There is no health insurance or 401K plan, no water cooler to gather around with your coworkers and talk about last night’s awesome episode of Community. No coworkers, for that matter. But, there is freedom. No coworkers means no bosses. No HR managers to pull you into their office and tell you that your position has been eliminated. Best of all, there’s the exhilaration of doing work that you truly love. Of following your passion. And, the sky is the limit. It truly is. This weekend I will immerse myself in the world of assisted living facilities. I will write this article. And then rewrite it. And then rewrite it again. Finally, when it’s polished and I feel it’s the absolute best that it can be, I’ll send it off. This is monumentally important to me. The biggest writing challenge I have ever faced. Conceivably, my entire future could hinge on the words I come up with over the next couple of days. I realize that all sounds a bit dramatic, but I’m looking at this as a launching pad. One that could send me orbiting around Planet Freelance. Time to strap myself in and enjoy the ride. This sounds really good. Proud of you! I figure, now is probably the best opportunity I’ll ever have to do this…might as well give it all I’ve got. I have nothing to lose at this point. BRAVA, Mark! And I am sooooooo happy for you! Ron, you are always so encouraging – I appreciate your comments! So proud/happy for you, hun. Good luck! You got this! Thanks, Jen. I hope so! Thank you so much for this link – I read the post and subscribed to their feed; looks like a ton of great freelancing information here! This is wonderful, Mark. Congratulations! Thank you, Esther! I heard back from them and the news is good! Awesome! Congrats. I love your attitude about this and I’m incredibly excited for you. Keep us updated. Good luck learning all there is to know about assisted living facilities :). If you’re serious about that, Catherine, drop me an e-mail!